From real stories of adversity to fictional stories of trials, this anthology has a little something from everyone and for everyone. I loved the variety of pieces in this and getting to read so many different styles of writing. I found myself unable to put the book down - I wanted to read each of the stories and hear the voice overcoming adversity. Such a wonderful compilation, which depicts the struggle to overcome, and benefits Andrew in his journey to his future. An outstanding collection of poems and short fiction and non-fiction stories. There's a story in there for everyone to help lift their spirits and give them hope. It's fantastic that a group of amazing writers can come together for a wonderful cause. can't wait to read my entry and everyone else's!!! A nice collection of stories for a worthy cause. The writing level of the authors varies greatly. Some are polished and professional; some are not. I'm disclosing the reason for five stars from me. Every now and again I come across a "project" book that has been created to publicize a cause, or to earn money toward a cause. This book fits into that category. The proceeds from its sale originally went to fund the college education of a young man (Andrew) who has disabilities, and the college education available to him wasn't one he could use. But the one he could was farther from home and quite expensive.Sadly, Andrew passed away, but the proceeds continue to fund a charity in his memory.This is a beautiful example of the caring and generosity of so many members of the writing community who donated their work to benefit the stepson of a fellow writer. Five stars for several good messages in this book and in this project. As soon as I saw the purpose for this anthology (read the book description to hear of Andrew's determination to get to a specialist college), I had to buy a copy. I was very pleased with what I got in return. The book starts off with a great short but strong piece by Denise Covey, the tale of Sunny (love the metaphoric name), pregnant and caught in a flash flood. It's an intense and dramatic read from start to finish and left me wanting to know more! An excellent collection of stories and moments of triumph over adversity. Many thanks to Nick for putting this together, and best wishes for Andrew! Even if I didn't know the story behind the collection, I think this would be a great read. I've purchased a few copies to give to friends, and they love it too. Considering the outpouring of love and support that went into this project, and how fast and well it was readied for publication, how can I not give it a 5? There's everything from short stories, to real stories, to poetry - something for everyone - and all for a good cause. Best of luck, Nick and Andrew. So many wonderful stories, both fiction and non-fiction, with a dollop of poetry. This is definitely a collection that will bring a tear to your eye, a lump to your throat and the certainty that we all have an inner strength to tap into when times are hard. I feel so privileged to have a story included in this amazing anthology with so many great and talented authors and to raise money for such a great cause. There is so much adversity in this world. Sharing our experiences with others can help us to feel more connected and less alone. This was an amazing project to be a part of and came together so quickly. It's just amazing how much hard work and dedication went into it from all involved. A must read as there really is something for everyone with in these pages. Hopeful, inspiring, and emotional, this anthology containing various authors, genres, and styles is a worthwhile read. Readers will find that the fiction, nonfiction, and poetry pieces will resonate with them. Beautiful stories, for a beautiful cause. Nick Wilford Clare Dugmore - Nick Wilford is a writer and stay-at-home dad. Once a journalist, he now makes use of those early morning times when the house is quiet to explore the realms of fiction, with a little freelance editing and formatting thrown in. When not working he can usually be found spending time with his family or cleaning something. He is the author of A Change of Mind and Other Stories, a collection featuring a novella and five short stories, four of which were previously published in Writer’s Muse magazine. 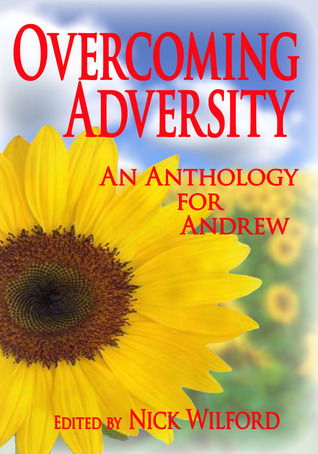 Nick is also the editor of Overcoming Adversity: An Anthology for Andrew. Visit him at nickwilford/.